The holidays can be a wonderful time of year for many, but others might feel regretful and depressed. There are endless reasons for feeling this way, and it is normal to have these feelings. We try to talk with our patients around this topic a lot throughout the weeks leading up to the holidays, but we put together a list of ways you can help yourself as well. You want to make sure that you have a plan in place and prepare well in advance. You know the holidays are beyond chaotic, so take care of yourself. Whatever you need to do for yourself, plan it. If it’s reading a book or going to a spa, make it happen so that your depression is less triggered. You want to make sure that this isn’t something new but rather something that is in your scheduled daily, or weekly, activities. We get it that coming together as a family might cause some tension and disagreements, but don’t worry. You can try to avoid it. Simply using phrases such as, “Let’s talk about that another time,” or, “I can see how you would feel that way,” will help avoid any tension. If you need to escape the room or hang with another relative, do it to keep your sanity. We know that things are not going to be perfect, so do not even try. Accept what you can change and can not change beforehand so that you can prepare yourself mentally. You will learn to be more grateful and blessed when you can see the what you have rather than what you think you might need. Holiday activities easily can interfere with your sleep schedule; there are a million things to do. Your list is a mile long, and we don’t take care of ourselves as much as we should around this time of year. There can be a link between depression and lack of sleep, so take the time to get that sleep. Try to get to bed and wake up at approximately the same time every day. You will want to avoid large meals and physical activity within a few hours of bedtime. If you are going through any signs of depression, or mental health problems, you will want to get help. Sometimes it isn’t always friends or family that can help, that is why we are here for you at Thrive Counseling to help you with those feelings naturally. Working out is great for your mind, body, and soul. You should do it regularly outside of the holidays regardless but especially when you are under stress. Any amount of working out will help a ton, so don’t feel like you need to go regularly (although it could help). If you live in an area where light is limited, this can affect your mood. Not getting enough light can cause you to feel tired and irritable. Seasonal affective disorder, or SAD, can be treated by long walks during daylight hours. Often at this time of year, we forget what matters and try to please everyone; we spend a lot of money and have many feelings. The holidays are not just about presents, but finances can be a considerable burden. Try doing secret Santa and picking names to prevent spending a ton of money and purchasing a lot of gifts. Stress can increase your food intake and cravings. Instead of trying to eat all the different dessert options, limit yourself to one small piece at a time and learn to say no. Too much sugar can affect your mood, and you want to make sure that your body is getting the right nutrients. People will invite you to so many events this time of year. It is okay to say no and turn something down. It truly is. Make the time for those important people. It is also okay to meet before or after the holidays when schedules might not be as chaotic. 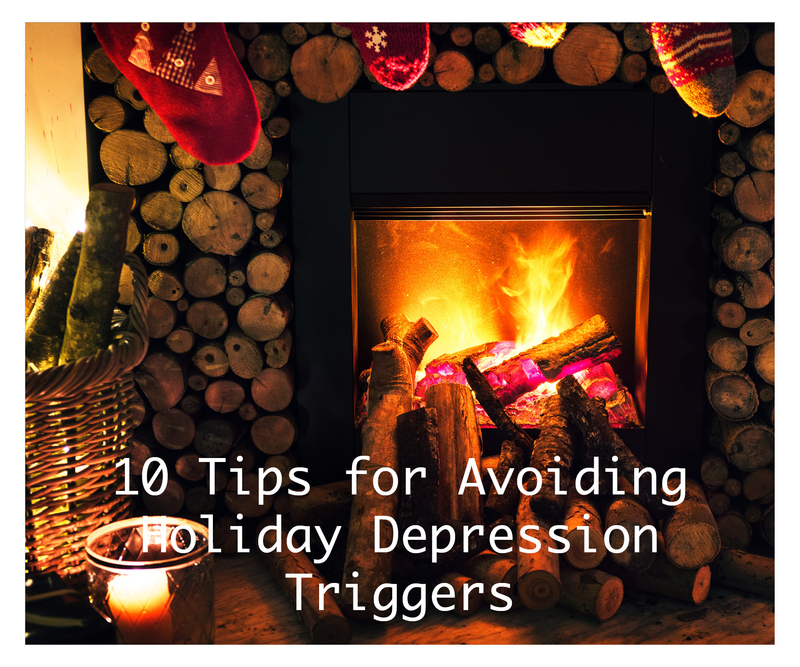 There are so many ways to help deal with the holiday season and to get out of the seasonal blues. At Thrive Counseling Services, we’ve seen people like you rebound from challenges to lead happy, successful lives. Our counselors work extensively with patients of all ages and types to help them bounce back, and work with doctors to provide the appropriate medication for various disorder types. Our certified counselors are here to help you reach your goals, provide a listening ear, and guide you towards a resolution to manage a variety of issues. We have two convenient locations for you: Canton Ohio and Cuyahoga Falls Ohio, give us a call 330-703-6578.